I keep saying that celebrity endorsements are rare, yet I keep finding them. This one is from Arthur Murray— the "teach me how to dance" Arthur Murray. 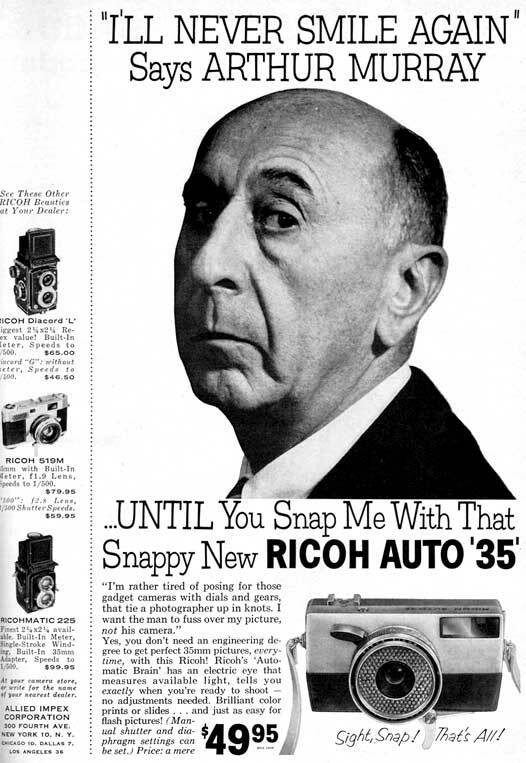 There's no cross-promotion, so I really don't understand why they thought he'd sell cameras.